There are a lot of cool nuggets in Google's New Book: The Site Reliability Workbook. If you haven't put it on your reading list, here's a tantalizing excerpt from CHAPTER 11 Managing Load by Cooper Bethea, Gráinne Sheerin, Jennifer Mace, and Ruth King with Gary Luo and Gary O’Connor. 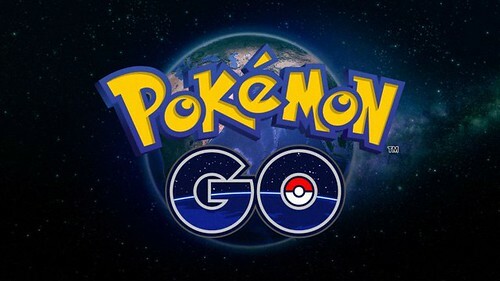 Niantic launched Pokémon GO in the summer of 2016. It was the first new Pokémon game in years, the first official Pokémon smartphone game, and Niantic’s first project in concert with a major entertainment company. The game was a runaway hit and more popular than anyone expected—that summer you’d regularly see players gathering to duel around landmarks that were Pokémon Gyms in the virtual world. Pokémon GO’s success greatly exceeded the expectations of the Niantic engineering team. Prior to launch, they load-tested their software stack to process up to 5x their most optimistic traffic estimates. The actual launch requests per second (RPS) rate was nearly 50x that estimate—enough to present a scaling challenge for nearly any software stack. To further complicate the matter, the world of Pokémon GO is highly interactive and globally shared among its users. All players in a given area see the same view of the game world and interact with each other inside that world. This requires that the game produce and distribute near-real-time updates to a state shared by all participants. Scaling the game to 50x more users required a truly impressive effort from the Niantic engineering team. In addition, many engineers across Google provided their assis‐ tance in scaling the service for a successful launch. Within two days of migrating to GCLB, the Pokemon GO app became the single largest GCLB service, easily on par with the other top 10 GCLB services. As shown in Figure 11-5, when it launched, Pokémon GO used Google’s regional Network Load Balancer (NLB) to load-balance ingress traffic across a Kubernetes cluster. Each cluster contained pods of Nginx instances, which served as Layer 7 reverse proxies that terminated SSL, buffered HTTP requests, and performed routing and load balancing across pods of application server backends. 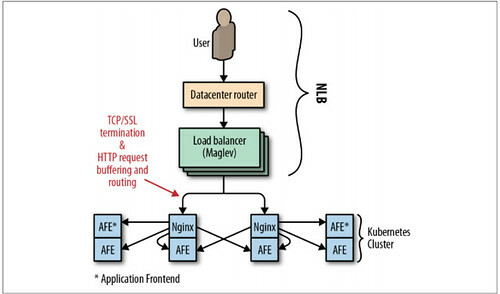 The Nginx backends were responsible for terminating SSL for clients, which required two round trips from a client device to Niantic’s frontend proxies. The need to buffer HTTP requests from clients led to resource exhaustion on the proxy tier, particularly when clients were only able to send bytes slowly. Low-level network attacks such as SYN flood could not be effectively ameliorated by a packet-level proxy. In order to scale appropriately, Niantic needed a high-level proxy operating on a large edge network. This solution wasn’t possible with NLB. A large SYN flood attack made migrating Pokémon GO to GCLB a priority. This migration was a joint effort between Niantic and the Google Customer Reliability Engineering (CRE) and SRE teams. The initial transition took place during a traffic trough and, at the time, was unremarkable. However, unforeseen problems emerged for both Niantic and Google as traffic ramped up to peak. Both Google and Niantic discovered that the true client demand for Pokémon GO traffic was 200% higher than previously observed. The Niantic frontend proxies received so many requests that they weren’t able to keep pace with all inbound connections. Any connection refused in this way wasn’t surfaced in the monitoring for inbound requests. The backends never had a chance. This traffic surge caused a classic cascading failure scenario. Numerous backing services for the API—Cloud Datastore, Pokémon GO backends and API servers, and the load balancing system itself—exceeded the capacity available to Niantic’s cloud project. The overload caused Niantic’s backends to become extremely slow (rather than refuse requests), manifesting as requests timing out to the load balancing layer. 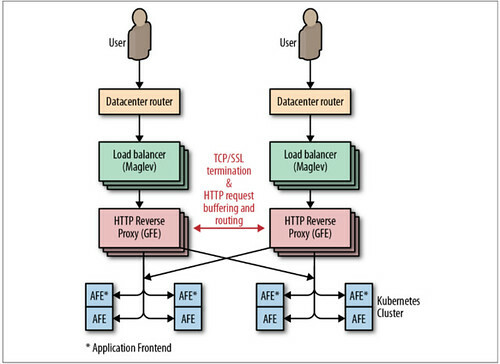 Under this circumstance, the load balancer retried GET requests, adding to the sys‐ tem load. The combination of extremely high request volume and added retries stressed the SSL client code in the GFE at an unprecedented level, as it tried to recon‐ nect to unresponsive backends. This induced a severe performance regression in GFE such that GCLB’s worldwide capacity was effectively reduced by 50%. As backends failed, the Pokémon GO app attempted to retry failed requests on behalf of users. At the time, the app’s retry strategy was a single immediate retry, followed by constant backoff. As the outage continued, the service sometimes returned a large number of quick errors—for example, when a shared backend restarted. These error responses served to effectively synchronize client retries, producing a “thundering herd” problem, in which many client requests were issued at essentially the same time. As shown in Figure 11-6, these synchronized request spikes ramped up enormously to 20× the previous global RPS peak. Isolating GFEs that could serve Pokémon GO traffic from the main pool of load balancers. Enlarging the isolated Pokémon GO pool until it could handle peak traffic despite the performance regression. This action moved the capacity bottleneck from GFE to the Niantic stack, where servers were still timing out, particularly when client retries started to synchronize and spike. With Niantic’s blessing, Traffic SRE implemented administrative overrides to limit the rate of traffic the load balancers would accept on behalf of Pokémon GO. This strategy contained client demand enough to allow Niantic to reestab‐ lish normal operation and commence scaling upward. In the wake of this incident, Google and Niantic both made significant changes to their systems. Niantic introduced jitter and truncated exponential backoff to their clients, which curbed the massive synchronized retry spikes experienced during cascading failure. Google learned to consider GFE backends as a potentially significant source of load, and instituted qualification and load testing practices to detect GFE performance degradation caused by slow or otherwise misbehaving backends. Finally, both companies realized they should measure load as close to the client as possible. Had Niantic and Google CRE been able to accurately predict client RPS demand, we would have preemptively scaled up the resources allocated to Niantic even more than we did before conducting the switch to GCLB.